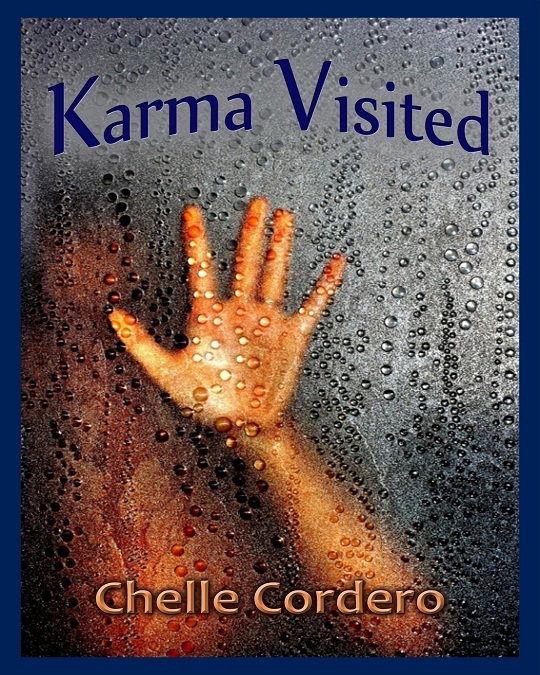 Let’s give today’s guest, Chelle Cordero, a warm welcome, for her new release, KARMA VISITED. She was kind enough to spend some time with us, talking about the book and the process. Devon Ellington: What sparked the inspiration for this novel? Chelle Cordero:As a child I had nightmares that often had similarities to actual news events – I had no way of knowing how true they were, but some of the dreams really haunted me. One such dream was actually the babysitter in the burning house. I wondered what it would have been like to control some of these “visits” and actually be able to help people. DE: Is it a stand-alone, or does it build on any of your previous novels? CC:Karma Visited is stand alone, I’ve never used any of the characters in any of my other books and at this time I have no plans to build on this in future books. DE: What kind of research did you do into police procedure, home invasion, homicide investigation, and dream work? Did you use sources who answered questions previously? CC:I did a lot of online research regarding the types of law enforcement, gun laws and even social events in the area where I placed my story. Some of the “facts” came from my own experiences – I live in a small town and have been to many town meetings, I spent several years in the NYC Auxiliary Police and witnessed police procedure and I have many friends in law enforcement and emergency services today. And as I said above, I used to have dreams myself and have always read up on what they meant. DE: Do you read in the same genre you’re writing in while you’re deep in a book? DE: What’s your writing schedule like? CC: I am a full time writer since I also work as a freelance journalist and prepare many articles for several magazines. I try very hard to get my deadline work done first but sometimes an idea hits me and I just have to get it down on paper. Since I work from a home office most times it’s easy to spend a night writing instead of sleeping. DE: What do you do to clear your head? Read, listen to music and change writing topics. Because I work on so many writing projects at once I feel like I never suffer writer’s block, I just change the subject I am writing about and keep the words flowing. The idea is to just keep writing and keep creating. I love the computer phrase “garbage in, garbage out” and when I really feel stuck I read as if I were starving – words in, words out. Chelle Cordero writes stories of Passion and Suspense. Vanilla Heart Publishing has published nine Cordero novels: Bartlett’s Rule; His Lucky Charm; Within the Law; Courage of the Heart; Final Sin; Hostage Heart; A Chaunce of Riches; Common Bond, Tangled Hearts; and Hyphema. VHP just published The Many Faces of Chelle Cordero, featuring several short stories which attest to Chelle’s unique range of writing abilities. She is currently working on her tenth novel and promises another action packed adventure and heartwarming love story. Chelle has been writing both fiction and non-fiction for the bulk of her adult life and has been with Vanilla Heart Publishing since early 2008. Her books have earned many plaudits which include: Bartlett’s Rule was named one of Carolyn Howard-Johnson’s Top Ten Reads for 2009; Final Sin was an Honorable Mention in the Fiction Category of the 2010 NY Book Festival and a 2009 Pushcart Prize nominee. ; Hyphema won the Dec 9, 2011 Friday Book Cover Vote on the Shades of Love website; A Chaunce of Riches was Winner of D. Renee Bagby’s readers’ choice for The Best Overall First Chapter, April 2010; and Hostage Heart, Final Sin and A Chaunce of Riches had top ten finishes in the 2009 Preditors’ and Readers’ poll. Chelle was also featured in “50 Great Writers You Should Be Reading” published by The Author’s Show in 2010. Chelle Cordero maintains an author’s blog at http://chellecordero.blogspot.com/, a promotional blog at http://ccepotourri.wordpress.com/, and offers a weekly writing workshop for Kindle Blog subscribers at http://bit.ly/pILcG. Her website http://ChelleCordero.com offers information on all of her books and her appearances. Bloggers and the media are welcome to visit Chelle’s media room at http://chellecordero.com/media/ with downloadable photos and other information. Tears streaked down her cheeks and left lines on her soot stained cheeks. I rested my hand on hers and hoped she felt at least a little bit of comfort. The children were safe, she made sure of that. I let her know I admired her bravery. She appreciated the compliment, for just a moment, and then fear grabbed her again. She stood again and tried to shake the bars free from the window. Safety bars. Those bars were meant to keep evil out and now all they did was trap her in. Luckily the little ones could squeeze between the wrought iron rods and she dropped them to horrified bystanders on the street. She understood that there was no way she could escape, but she was determined to save the children. One by one she made sure that her charges would be alright, they were safe. And now it was time for her to die, but now the fear of how she would suffer terrified her. Coughs seized her body as she sank back down to the floor and cried some more. Flames were licking the walls. There wasn’t much time left. We were both scared, but I knew I had no reason to fear for myself. We could hear the sirens of the approaching fire trucks, but there wasn’t time. Her eyes were haunted as she looked at me and I prayed that the smoke would claim her before the flames. My prayers were answered. I sat still and stroked her limp hand and felt so sad that the girl’s last minutes were filled with terror.